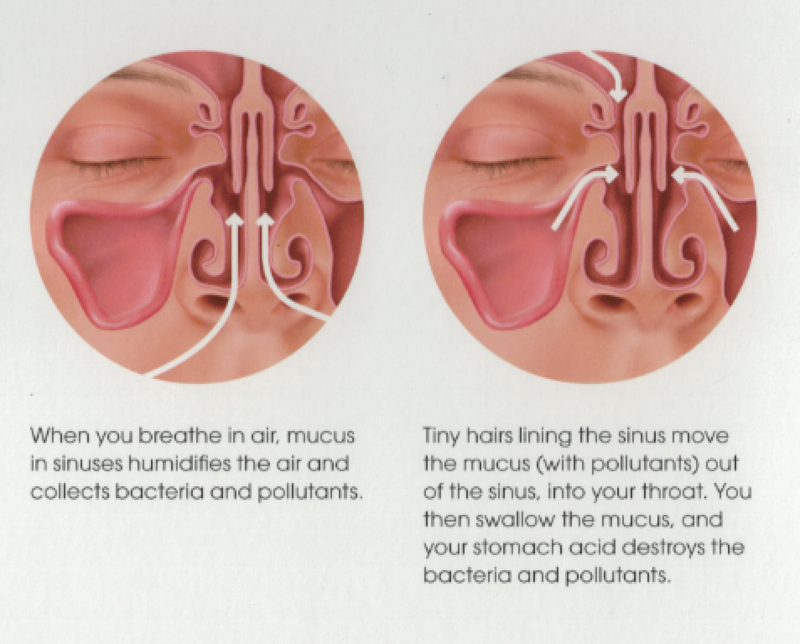 Need a solution for Sinus Problems? "Dr. Riesberg will see you now!" These are the words our sinus patients love to hear from our friendly and welcoming team. When you're in pain, it can be agony to wait days or weeks for a visit to a Pensacola ENT. We make it easy to schedule an appointment and receive the care you deserve. 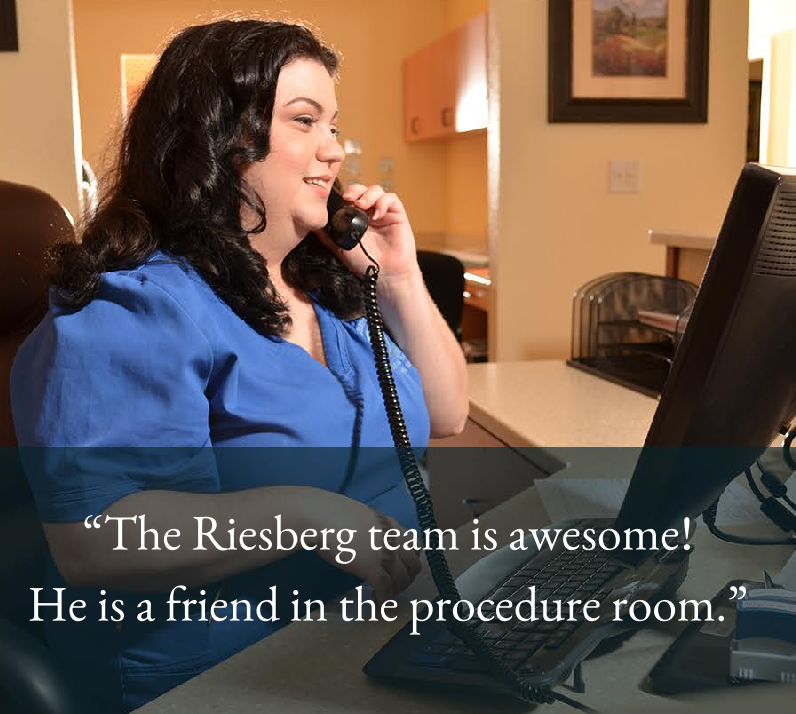 If you or a loved one suffers from sinus pain and pressure, restore your quality of life with a convenient visit to Riesberg Sinus Center at Riesberg Institute, Pensacola's ear nose and throat destination. 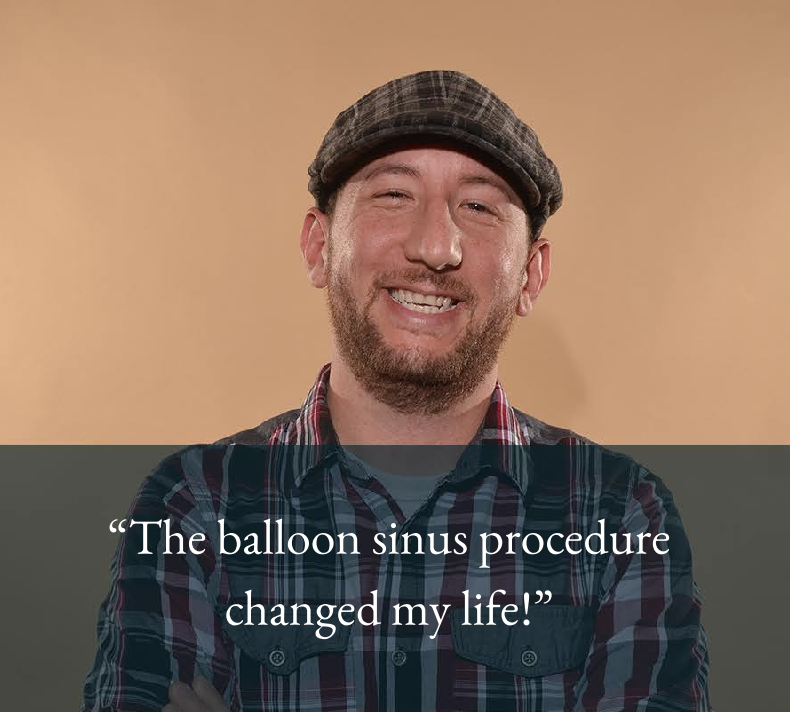 Dr. Michael Riesberg is one of the only ENT specialists in the region to provide the breakthrough in-office balloon sinus procedure — providing patients freedom from chronic sinus pain in a matter of hours. 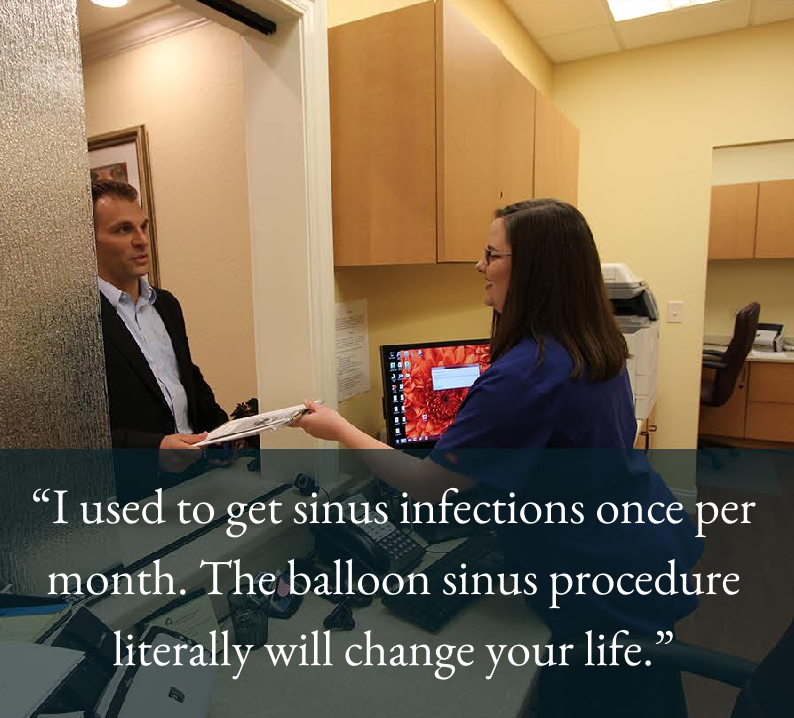 The Balloon Sinusplasty is a safe and convenient procedure with proven advantages over traditional sinus surgery for those suffering from sinusitis and chronic sinus pain. The appropriate medical treatment for recurrent or chronic sinus infections can include treatment with antibiotics for three to four weeks along with local treatment of the nose with nasal saline flushes, nasal steroids, and possible nasal antihistamines. Occasionally the use of prednisone (a glucocorticoid steroid) to decrease the inflammation in the nose . If we find that the patient also has allergies, allergy treatment may need to follow the medical treatment, once the infection has been brought under control. Controlling the allergies will frequently lead to decreased congestion in the nose with subsequent improvement in the sinus infections. In the event that a CT scan of the sinuses shows abnormal sinus anatomy, then it may become necessary to consider surgical correction of the sinuses. Sinus surgery is often performed when medications are ineffective in treating chronic sinus infections. Surgery is usually performed in order to enlarge the openings that drain the sinuses, thereby improving function and decreasing the risk of infection. Endoscopic Sinus Surgery. Using an endoscope (a very thin fiber optic tube), the doctor examines the openings into the sinuses, and then removes any abnormal and obstructive tissues. Image-guided Surgery. Combines use of a CT scan with endoscopic surgery for greater visual precision. Most helpful in surgeries involving severe infection, previous sinus surgery, or where a patient’s sinus anatomy is very unusual. Expect to be off work for a week and to sleep with your head elevated on pillows for a few days. You will feel like you have a bad head cold with congestion, mid-face pressure, and possibly headache for 3-4 days after surgery. There may also be some bruising or swelling. Pain varies from using Tylenol alone to needing Lortab or Tylenol with Codeine. Follow up visits start 1 week after the surgery and continue for several visits until the nose is healed. Ready for relief? Request Riesberg.